[Update] DICE now detailed the Battlefield V Combat Roles. More can be found here. 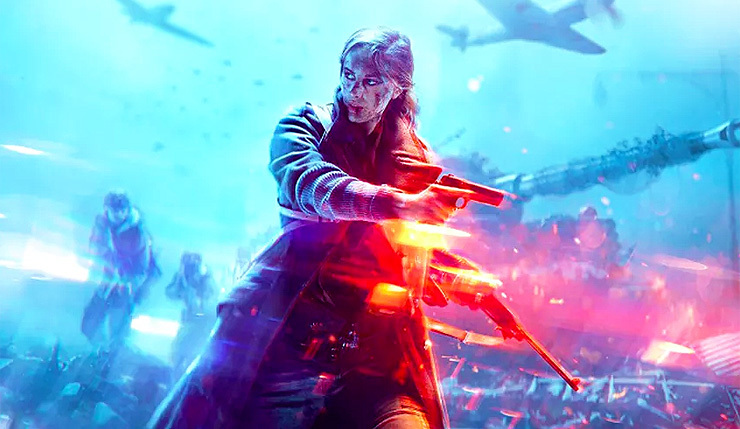 [Original Story] The Battlefield V development team is gearing up for the game’s release, revealing some additional details on many of the game’s features. A few hours ago, Multiplayer Producer David Sirland answered some questions about the game on his Official Twitter profile. Speaking about aiming, Sirland confirmed that Aim Assist rotation for vehicles is getting removed, but the Aim Assist slowdown will remain for sure. "Aim assist rotation" is getting removed (testing this right now on PS4) – but the Aim assist slowdown will remain for sure. All this pending testing goes well, and it seems to be,. That's not a visual effect, thats a server wide weather state. And it's part of gameplay on regular Conquest and in some narrative modes (like airborne) it's controlled even. That doesn't mean there isn't options to control this for other modes, or experiences however. If a weather state is night time, and snow storm – it's part of the point to make certain things harder to see, or play differently. These extreme forms are not often occuring, and they don't last for long. We are not after creating strain, or things like sandstorms of the past.. Worsens the ability for some ranges, depending on weather – yes. That's the point. Heavy fog is essentially the negator of long range sniping. There are other examples too of course. Lastly, it seems like players should expect a lot of content coming to the game for launch, thanks to the fact that the biggest live team ever at DICE is working on Battlefield V. The team currently has everything planned for the first two months. Detail on content to come, everything from maps, weapons, vehicles etc will be coming as it gets near release of each. More important is that we the biggest live team we've ever assembled supporting this game, and it will show pretty fast what type of cadence to expect. The post launch delivery of content is planned in detail for a couple of months – Then it becomes less about release slots and more about things in progress waiting to get slotted in. General themes etc will be guiding us. A few days back, DICE detailed some of the changes over the beta coming to Battlefield V. More vehicles types have also been confirmed.